So, you’ve decided to take the plunge into the world of cloth diapers! It can be an intimidating and sometimes challenging road, but it’s well worth it. The benefits are numerous: they’re better for your baby, better for the environment, and the money savings are nothing to sneeze at, too. If you’re set on switching to cloth diapers, don’t be worried: it’s actually pretty simple and not too hard at all. Here’s a simple, no-nonsense guide to the basics of cloth diapering! If you don’t even have any cloth diapers yet, the first thing to do is make sure you get the right ones. I’d recommend trying a few different types out to see which your baby likes the most. 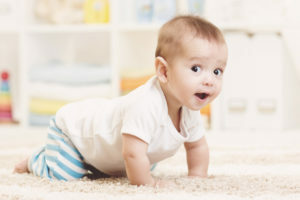 Pre-fold diapers: The most economical diapering system, these diapers fold into thirds and are usually placed inside a diaper cover or secured with a pin. Pre-folds are traditionally made of cotton, but these days can be found in both hemp and bamboo. Pocket diapers: These diapers are made of a waterproof shell and an inner liner, with a pocket between the two layers that holds an absorbent pad. These are the most popular type of cloth diapers because of their ease-of-use and the lack of need of a diaper cover. Fitted diapers: Resemble disposable diapers in both size and appearance. Unlike disposable diapers, these obviously aren’t waterproof, so you’ll need to use a diaper cover. All-in-one diapers: The easiest and simplest diapering solution, these diapers have a sewn-in absorbent liner. These require no extra cover or liner. Decide which type is best for you. Personally, I’d recommend pre-folds, although they’re not the easiest to use. They’re much easier to clean and wash in the long run. Some parents recommend pocket diapers for ease of use, but these require handling a dirty pocket pad every time you want to clean it. Not necessary with a pre-fold. A breastfed newborn is going to go through a diaper about every 3 hours; toddlers will go through fewer. I’d recommend about 24 as a good, round number. You should be washing them daily, but if you have to skip a day, you won’t run out with about two dozen diapers. 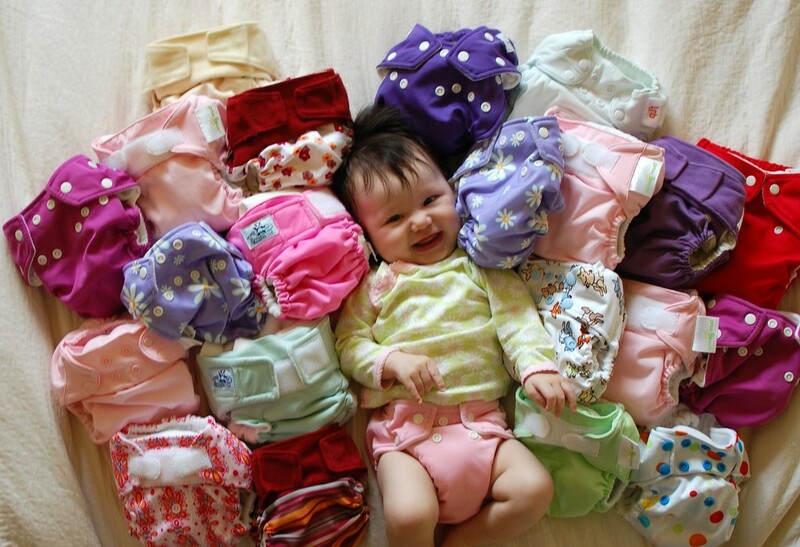 Cloth diapers generally come in packs of about 6-12, so it’s not that crazy to think about. I’d recommend buying your diapers from Amazon. You can click here to see their selection of cloth diapers, most of which are usually on sale. What’s also great about Amazon is that they have free shipping for orders of over $35, which most other online stores don’t seem to have. I recommend buying online because stores generally seem to be much more expensive and have a much smaller selection. Don’t skip this step! It’s always a good idea to wash your diapers before the first time you use them. Run them through the wash on hot with a little mild detergent to make sure they’re clean and safe for your baby’s bottom. This also shrinks the diapers to their proper size; if you don’t do this, they’re probably going to be a bit big for your baby, which means leak city. It’s important to have somewhere to put the dirty diapers when you change them. 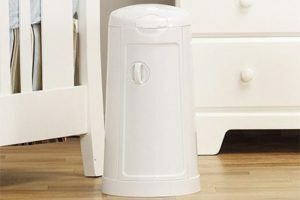 My personal recommendation is a diaper pail, and you can read our guide on the best diaper pail for cloth diapers if this is an option that interests you. The reason why I like this option is that it keeps the smell to a minimum, which is always a downside of cloth diapering. Another option is using a wet diaper bag. This is something many parents go for, but the downside is that it doesn’t contain the smell at all. The most popular wet diaper bag is the Planet Wise wet diaper bag. Here’s the fun part! It’s not that hard to put a cloth diaper on, but you have to know the proper way to do it. A picture says a thousand words, so here’s a great instructional video on the 8 different methods of folding diapers. Just try out the ones that interest you and see what works best. When it comes time to change the diaper, you’ll have to deal with the dirty one. Be sure to change the diaper as soon as you notice your baby is wet: rashes set in pretty quickly with wet diapers. First, take the diaper off. If your baby pooped, dump it in the toilet and flush, then rinse it out with water as best as you can. Put it in your diaper pail or wet diaper bag, but don’t leave it in there too long, because mold and bacteria are quick to grow on a damp diaper.